We are 1 day away from November 6 and the election! Watch for post-election analysis in next week's In Brief. This is the last week of pre-election recess so use opportunities to interact as a chance to frame your priorities. Call your lawmakers' district offices and ask for appointments with your Representatives while they are home. The 2019 Open Enrollment Period runs from Thursday, November 1, 2018 to Saturday, December 15, 2018. Plans sold during Open Enrollment start January 1, 2019. If you don't act by December 15, you can't get 2019 coverage via the marketplace unless you qualify for a Special Enrollment Period. Learn more about options for coverage and subsidies you may qualify for by visiting www.healthcare.gov. For additional resources to educate others about getting coverage, visit www.getamericacovered.org. Getting to Equal: The Disability Inclusion Advantage, from Disability: IN and the American Association of People with Disabilities (AAPD), analyzed the disability practices and financial performance of the 140 companies participating in the Disability Equality Index. The National Council on Disability - an independent federal agency - released its annual progress report on national disability policy, Has the Promise Been Kept? Federal Enforcement of Disability Rights Laws. U.S. Senator Patty Murray (D-WA), Ranking Member of the Senate Committee on Health, Education, Labor and Pensions (HELP), issued a report, Disability Employment: Outdated Laws Leave People with Disabilities Behind in Today's Economy. The report from the Senate HELP Minority staff offers key recommendations to modernize outdated policies and programs that have been a continued barrier to people with disabilities in employment. This includes phasing out authority that allows the Secretary of Labor to permit employers to pay people with disabilities wages that are less than the federal minimum wage. Share the reports with your Congressional delegation, state leaders, and employers in your community. The proposed changes to the public charge rule have been published in the Federal Register. The comment period will last until December 10, 2018. Our friends at Rooted in Rights have created video resources that illustrate how the change would impact families that include people with disabilities. Making comments is a critical way to impact policy. 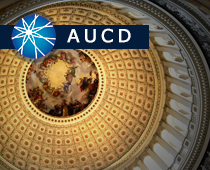 Use AUCD's background information fact sheet to learn more. Use AUCD's online tool to make comments that include the impact on people with disabilities.